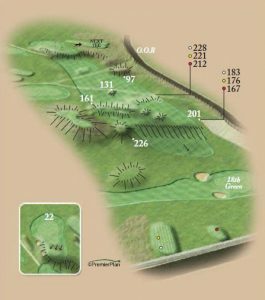 A good drive over the marker will give a second shot to a plateau green which is long and narrow. Allow 30 yards from the front to the pin. Shots to the left of the pin tend to roll off towards the bunkers.